Similarly, the language of extremism is often wielded to describe those who want to limit the ability of the Parliamentary Labour Party to veto who can stand as party leader. But isn’t it a rather extreme position to allow 0.04% of the membership to decide who the other 99.96% can vote for as their leader? If we truly believe in fighting inequality, we have to embrace empowerment in our own party. Not as some sickly PR exercise, but because democracy is the ends and the means of our movement. That is why over the summer I will be touring constituencies up and down the country alongside a brilliant band of Labour Party democrats. Our Democracy Roadshow will be speaking with members who have invited us to discuss how to enhance their democratic right to shape the direction of the party. The Labour Party democracy review, launched by Jeremy Corbyn after the general election, is intended to make our party a mass movement. That means capturing the energy and creativity of our party’s almost 600,000 members, harnessing that to win the next election and driving us forward while in government. Only by empowering grassroots members can Labour remain the party that does politics with the community rather than to it. Democracy guards against elitist know-it-all thinking and advances socialist common sense. If the leadership had listened to members when we were in government between 1997 and 2010, they wouldn’t have made as many errors as they did, and some of those errors were truly catastrophic. Britain would not have gone to war in Iraq, the PFI would not have been expanded, anti-trade union laws would have been repealed, the housing crisis would have been addressed through a massive council house building programme and through regulating the private rented sector, public services would not have been outsourced, higher education would have remained free, social security would not have been stigmatised – I could go on, but you get my drift. Members’ common sense is neither fantastical nor extreme. It calls for a decent and fair society and demands to take on elite interests that stand in the way. That’s democracy. And so it must start at home. Labour should welcome those CLPs that have passed resolutions calling for the reintroduction of mandatory reselection of MPs. This thoroughly democratic principle applies to elected positions in most organisations in the country, from trade union leaders and Labour councillors to the office holders in charitable and community organisations. It’s the democratic fate that the chair of your local bowls club and allotment society will likely face. Since the 1980s, if members in a constituency want an open contest they can only secure it via a trigger ballot. That requires a majority of wards, affiliated trade union branches and socialist societies to vote for a full selection process. The problem is that there is no weighting attached to the votes, which means a trade union can affiliate a branch to a local CLP where they have just one member living within the constituency boundary. That entire branch will count as one vote in a trigger ballot, just as a trade union, socialist society or ward party with hundreds of members will also count as one vote. That means the wishes of hundreds – even thousands – of members can be frustrated either way in a trigger ballot by a far smaller cohort of members. There’s a way to change that, and it will be key to Labour’s success. But it requires the party’s detractors of democracy to learn some humility. If they can’t do that themselves, they should prepare for our popular movement to show them how. 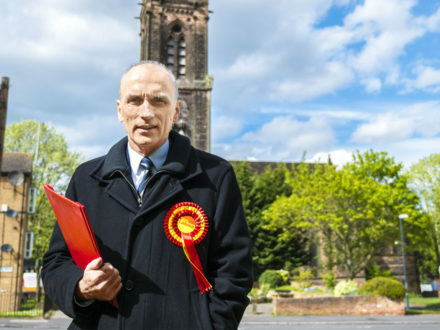 Chris Williamson is MP for Derby North. To invite Chris Williamson and others to speak at an event on Labour Party democracy near you, visit thedemocracyroadshow.org.